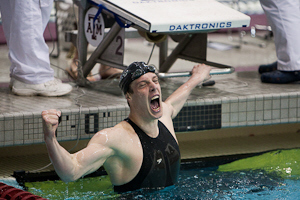 Auburn Senior Matt Targett celebrates victory in the 200 Freestyle Relay. 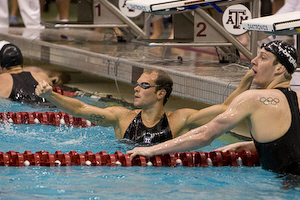 He was joined by teammates Jakob Andkjaer, Gideon Louw and Kohlton Norys in setting a new NCAA record. 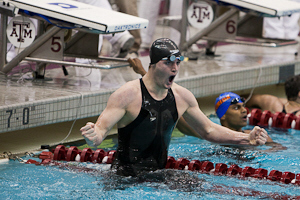 Arizona's Jean Basson celebrates victory in the 500 freestyle. 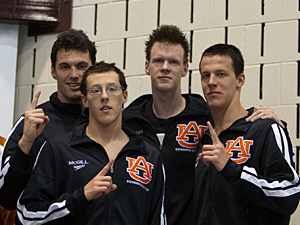 The Auburn team of Pascal Wollach, Adam Klein, Tyler McGill and Matt Targett celebrate victory in the 400 yard medley relay with a new US Open record 3:01.39. 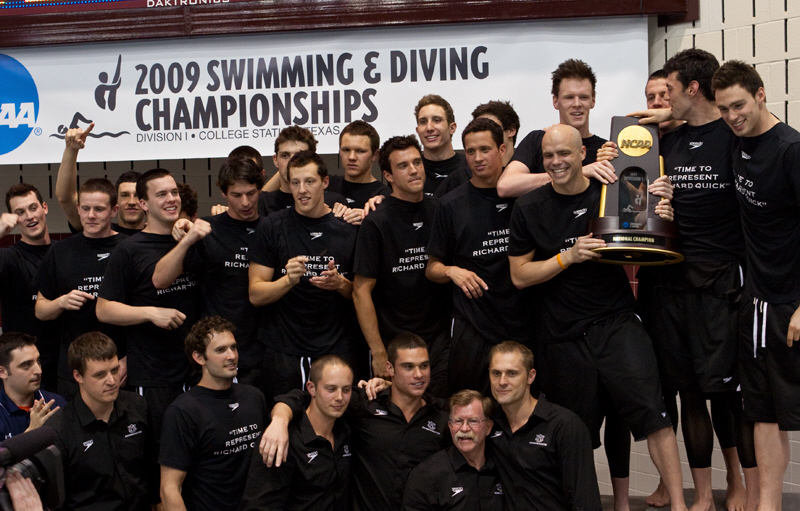 Second place California also broke the previous US Open record. 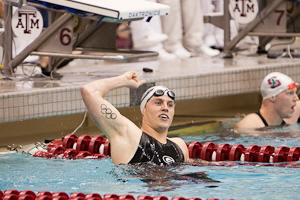 The Auburn University team of Jared White, Michael Silva, Matt Targett and Gideon Lowe capture the 200 yard medley relay in an NCAA record 1:22.36. 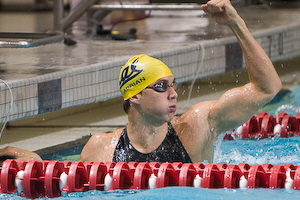 Michigan Sophomore Tyler Clary crushes Michael Phelps US Open record in winning the 400 individual medley in 4:35.98. 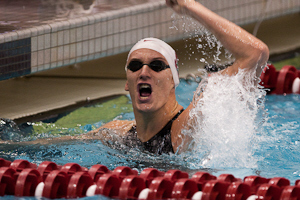 Stanford Sophomore Austin Staab smashes the NCAA and his own American record in the 100 butterfly with a 44.18. 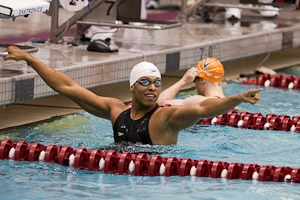 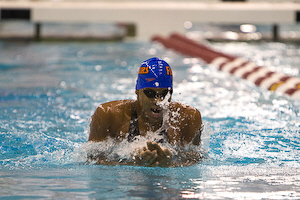 Florida Junior Shaune Fraser celebrates victory in the 200 yard freestyle with a winning time of 1:31.70. 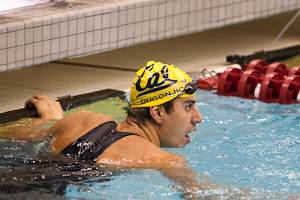 Cal Sophomore Damir Dugonjic demolishes the NCAA record in winning the 100 breaststroke in 50.86. 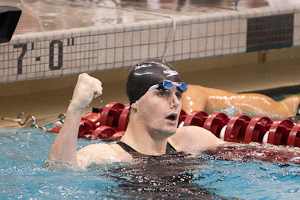 Auburn Sophomore Kohlton Norys captures the 100 backstroke in 45.26. 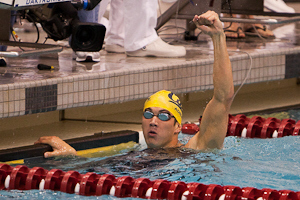 Cal sophomore Nathan Adrian captures his second individual victory of the NCAA championships with a victory in the 100 freestyle setting an American record 41.08 in the process. 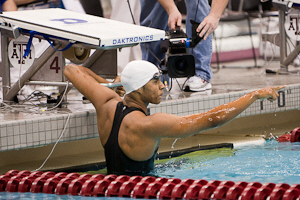 and NCAA record of 1:51.40.